Hardwood floors take a beating. ScreenCoat Painting & Flooring LLC specializes in quality hardwood floor refinishing and has been in business since 2001. Our services include refinishing, buffing and recoating, staining, and varnishing. Bring back the natural beauty of your hardwood floors. 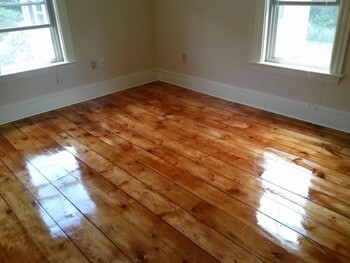 Get back your shine with ScreenCoat Painting & Flooring LLC's dustless floor refinishing service. We deep clean to remove surface stains and light scratches. For floors that need more work, ScreenCoat Painting & Flooring LLC offers a complete floor refinishing service. We start by sanding to remove deep stains and scratches. Next, we deep clean and buff to remove all other stains and scratches. Wood floors are covered with a clear protective coating. Over time, that topcoat can get scratched and scuffed. To keep your hardwood floors looking their best, ScreenCoat Painting & Flooring LLC recommends refinishing every 5 to 7 years. We use a sand free method to remove light scratches and stains. Then, we use a floor buffing tool and a succession of grits to restore the luster to your floor’s topcoat. We seal and coat your hardwood floor then apply the wood stain or varnish of your choice. Whether your floors need a little bit of work or heavy-duty refinishing, ScreenCoat Painting & Flooring LLC will make them look brand new. We've been professionally refinishing wood floors for 18 years. ScreenCoat Painting & Flooring LLC has been professionally refinishing wood floors since 2001. Call (978) 216-2016 to speak to one of our wood floor refinishing professionals.